Exchange of sanctions is counter-productive, Johannes Hahn warns. 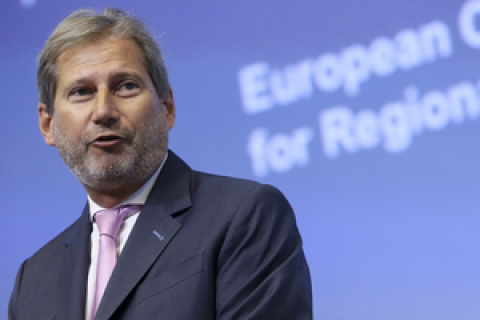 EU Commissioner Johannes Hahn urges Russia and Ukraine to abolish restrictions on mutual trade and transit of goods. "I do not agree with this kind of measures, since they do not make a positive contribution to the development of the region, including Russia. I really urge Russia to change its mind and change its stance," Kahn told a press conference of participants of informal ministerial dialogue Eastern Partnership. "I understand the temptation on the part of Ukraine to take measures in retaliation. But it not something that makes a positive contribution to finding a peaceful solution," he went on. On 1 July, Russia introduced additional restrictive measures against Ukrainian transit of goods through its territory in Kazakhstan and Kyrgyzstan. Ukraine has stated plans to complain to the World Trade Organization and impose mirror sanctions. Recently, Russia extended food embargo against Ukraine until the end of 2017, Ukraine responded in kind.